30th Meeting of the EUCARPIA Fodder Crops and Amenity Grasses Section “Quantitative traits breeding for multifunctional grasslands and turf” was successfully held in Vrnjačka Banja from 12th to 16th May 2013 in organization of the Institute for Forage Crops, Kruševac, Serbia. 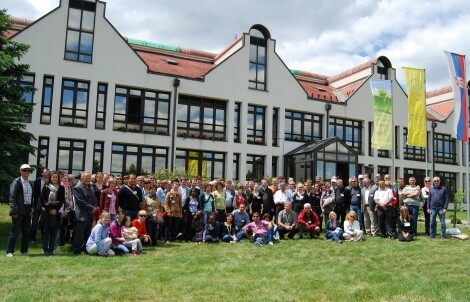 We were happy to be hosts of more than 130 participants from 30 countries from all over the world. The scientific program of the Meeting covered all important areas of genetics and breeding on fodder crops and turf grasses. During conference about 100 presentations were showed and two workshops were organized. All the photos from the Meeting are available on the right side, under “Photo Galleries” menu.